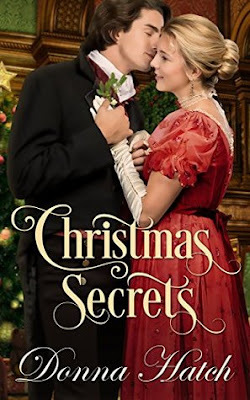 Holly has two Christmas wishes this year; finally earn her mother's approval by gaining the notice of a handsome earl with an impeccable reputation, and learn the identity of the stranger who gave her a heart-shattering kiss... even if that stranger is the resident Christmas ghost. 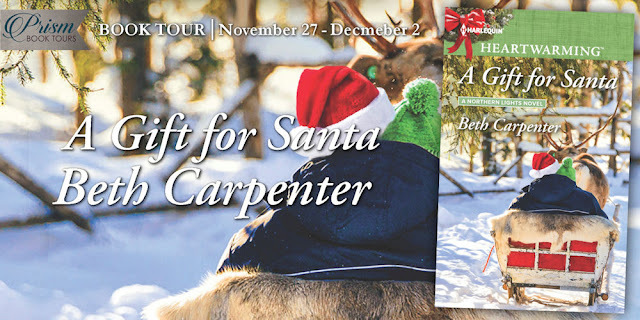 I loved this wintery holiday romance! 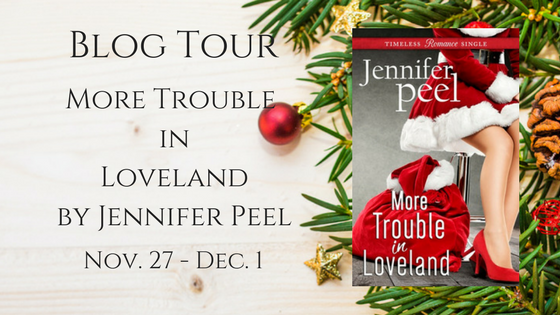 I felt like there were three facets to the story that resonated with me- the romance, the holiday traditions, and the family dynamics. It was enjoyable getting to know the characters, their flaws and strengths, and how they interacted with each other. Holly's sister teases her but as the story progresses she shows more depth of character as she helps Holly. Her mother is a difficult person- hard to please and motives woven with selfishness and maternal devotion. I liked her father best of all since he reminded me of my own, thoughtful and quiet yet strong- when he speaks, people listen, and his word is final. Will was charming and I liked that while he wasn't perfect, he had a good heart and tried to do his best. He took joy in participating in the Christmas traditions of old England and I loved learning more about the history of those practices. I felt like I gleaned more details in this book than others in the same genre and setting. Participating in the activities with open pleasure is something Will and Holly have in common, and it was sweet to see them turn from their initial interests and realize how well they are suited. Their chemistry is great and the author skillfully builds the anticipation of something more between them. 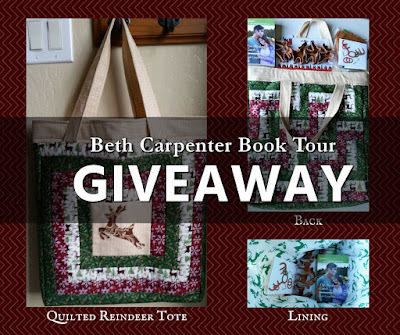 Highly recommend to fans of Regency romance and holiday themes! 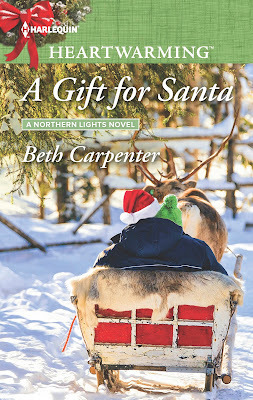 I loved the Alaskan setting in this book, especially at a reindeer farm! The author wrote with authority of the various aspects of Alaskan life and I loved the details that opened my eyes to the realities of living in snow... or without it when it's needed. Chris owns a snow plow business and with a snowless forecast he was struggling with making ends meet. 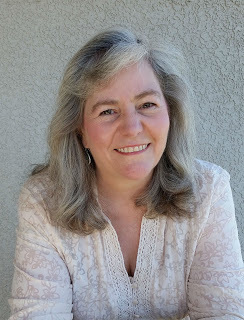 It was great to read the story of Dana's brother and she and Sam from the first book in the series were incorporated into this story seamlessly. 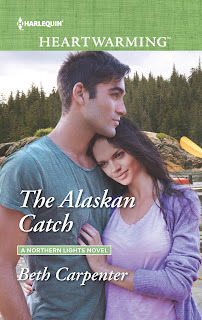 You don't need to read them in order, but I loved The Alaskan Catch so don't miss it! Marissa has a Type A personality, but laid-back Chris was the yin to her yang. They have a history fraught with angst over disagreements about children in their future and a broken engagement. They have both matured over the years though, and when Chris volunteers to take over playing Santa for her ailing uncle, they have ample opportunity to get reacquainted. I loved that Chris was so helpful and compassionate with Marissa's family and also Ryan, his neighbor's foster child. It really showed the way he was changing. He and Marissa have good chemistry and banter, it was fun to watch them grow closer together again. 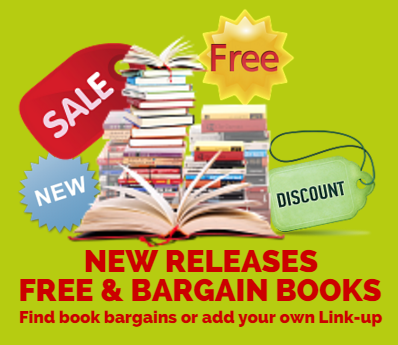 I hope you enjoy this book (and series)! 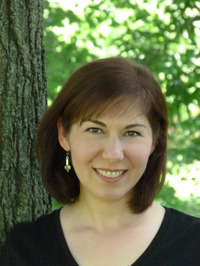 I’m currently working on book 6 and you can find out more about all of my books and sign up for my newsletter at www.RulaSinara.com. In fact, you can also find links to A Heartwarming Thanksgiving, a Harlequin Heartwarming collection of short Thanksgiving romances, including mine, The Sweetheart Tree, which is also connected to my ‘From Kenya, With Love’ series. Kamau left the screen door creaking to a close behind him and Haki caught a glimpse of his younger brother, Huru, sketching in the family room. At fifteen, an age when most kids wallowed in hormones and angst, Huru was as mellow as they came. Maybe he channeled it all into his artwork—there was no doubt he had a gift—but sometimes Haki had to wonder if names carried enough power to define a person, or if it was the emotional state of the mother at the time of naming and rearing the child that made all the difference. Huru had always had a carefree way about him. Free, just as his name meant in Swahili, or perhaps how their mother felt at his birth: married, happy and loved, unlike how she’d been when Haki was conceived in an act of violence. Haki meant justice. And there had never been a time when he didn’t find himself wanting it. Wanting those who caused pain and harm to be held accountable, wanting to be sure he’d always be the kind of honorable man Kamau was…and not like the criminal whose blood he shared. 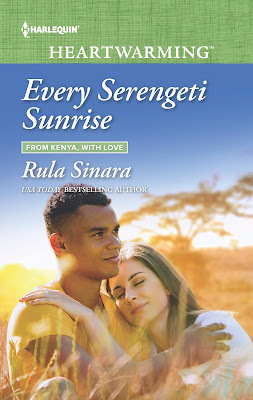 "Every Serengeti Sunrise by Rula Sinara will make you smile, chuckle and – yes – shed a few tears. The characters become your friends, and the Serengeti setting feels like home. For those of us who will probably never venture across the world for the breathtaking experience of life among the giraffes and elephants and lions, we can live vicariously through Haki and Maddie and Pippa while we’re immersed in the pages of their story. Along the way, we also get a taste of important human rights and animal rights issues, as well as a reminder to be the person we were created to be – not someone living solely to meet everyone else’s expectations. 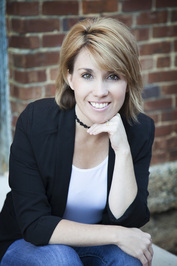 A thoroughly enjoyable and engaging story in every way!" “Do whatever you need to do. If it’s too much work, just cut my pant loop,” Maddie said. He slipped his fingertips barely below the waistline of her pants and pressed his palm against her, so that the belt loop and jagged end of the piece of wood were against the back of his left hand. With his right, he broke off the shard in one quick move. “All done. I’ve got you. Let go of the ladder.” He held her by the waist, set her feet on the ground, then immediately let go and took several steps back. One of the things I love about writing a multicultural series set in an exotic, off-the-grid locale is that it has given me the opportunity to show love and family values are universal. For many, world-wide travel, exploration and simply experiencing life outside the bubbles in which we live is only possible through books…and more often than not, it happens through a romance novel. So, with Every Serengeti Sunrise, book 4 of my ‘From Kenya, With Love’ series due out in December, I thought I’d share some heartwarming facts you’ll discover in the series. "Overall the book has some very heart felt emotions and can be an emotional roller coaster as we read the story of Maddi, Haki, and Pippa. Three childhood friends. . . . This was the hardest part of the book for me. I don't do triangles well. Other than that I enjoyed the read. " "It is not everyday that a novel set in Kenya pops up in my review feed. Most American authors stick to the US of A, or else some of the more "romantic" countries of Europe. So it was a joy to find something that was a little more unique. 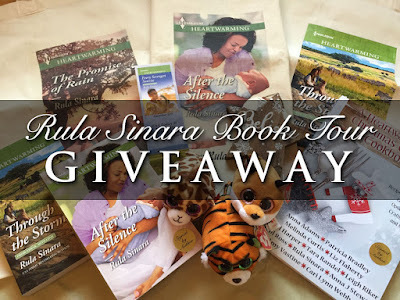 And since I had read an anthropological study in college that dealt with Kenya and the tribal laibons, I was excited to see where the author took this story. . . . To begin with, Sinara did a great job of depicting Kenyan culture. . . . I think that if I had read the rest of the series beforehand, that I would have enjoyed the romance in this one much more. " "EVERY SERENGETI SUNRISE is a story of protection, compassion, loss, and love. Set mostly in the Kenya Savannah among a battle between people and wildlife and the families who have invested time to save and protect, comes the story of three close friends who are trying to find their path to love. At moments it's deeply heartbreaking, some moments are full of family and laughter, while others are endearing sweet. Those who enjoy heartwarming stories and who have enjoyed this series so far will find much to love here." "Every Serengeti Sunrise, a clean romance in Harlequin’s Heartwarming line, will certainly appeal to romance fans, but this story is so much more. 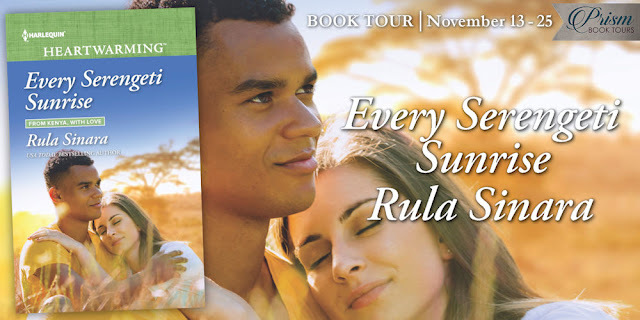 I’m not naturally drawn to Kenya as a setting and love triangles don’t really appeal, but I wanted to read this story because the author had been recommended – and I was blown away. Rich characterization, breathtaking setting, and poignant storyline all combined into a compelling, epic read that captured me emotionally from page one and never let go. 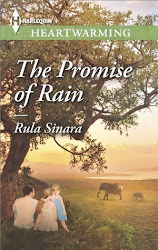 The writing of Rula Sinara is impressive and I love her gentle warmth and humor." "This is only my second read from it, but I am loving this series! 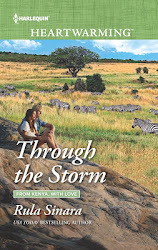 The unique setting and wealth of well-developed characters in the From Kenya, with Love series make these books so much fun to read–and Maddie and Haki’s story is not an exception. . . . you’ve got one heck of a heart-wrenching story. There were times when I thought that a HEA would be impossible, but Ms. Sinara brought everyone through to a satisfying–though a little teary–conclusion."